It’s no secret that drivers from Charleston, WV want to get the most out of their new car. And why wouldn’t you? That’s why Jaguar Charleston staffs an onsite facility that’s trained to keep your Jaguar vehicle in tip-top shape. Our service team knows what makes the Jaguar F-PACE, F-TYPE, XE, XF and XJ models tick. After all, your car deserves nothing less than the best service. You can also take advantage of complimentary roadside assistance and other services as part of Jaguar EliteCare. 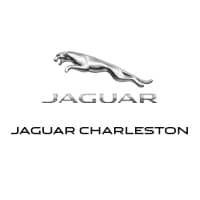 Check out the Jaguar maintenance schedule at Jaguar Charleston to learn more. If you’re interested in seeing what we can do for your car, feel free to fill out our online contact form to set up an appointment by using the buttons below. Or, if you’d like to speak with us as quickly as possible, feel free to either give us a call at 304-746-0500 or to visit us at 7 Dudley Farms Lane – a quick drive away from Hurricane, Parkersburg, WV, and Huntington, West Virginia.